Hello Friday! 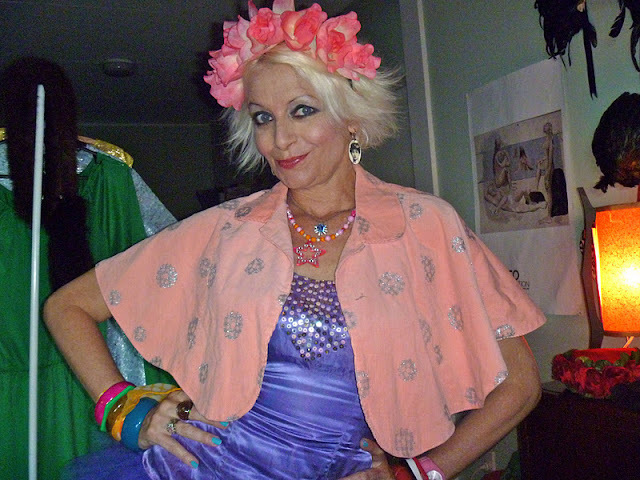 Sorry if you missed last week's lack of Recycled Fashion Finds, I'm sure you will understand. 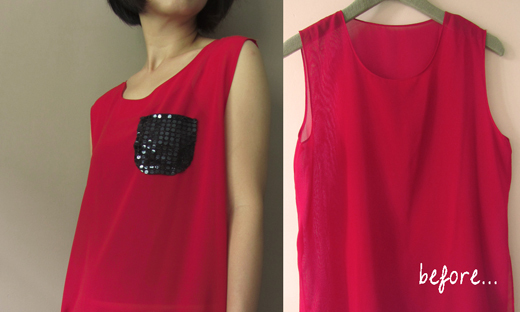 Two weeks ago, Mongs shared her DIY sequin pocket red top, isn't it great? She is full of refashion ideas! And Desiree's Circus outfit? Need I say more? Desiree is actually hosting a handmade headband giveaway, pop over here to enter. Would you like to participate in Recycled Fashion Finds this week? Great! Click here for the rules, and don't forget to grab yourself a Recycled Fashion Finds blog badge for your blog post or side bar. Thanks readers! Love that sequin pocket! Gorgeous! Yes of course we understand - and our best thoughts and wishes are going out to your family. Thanks for being here, and for hosting. I adore Mongs and Desiree! yes i understand. I am glad it's back this week and thanks for the featured! You made my day! Gorgeous top....love the sequin pocket & colorful headband!